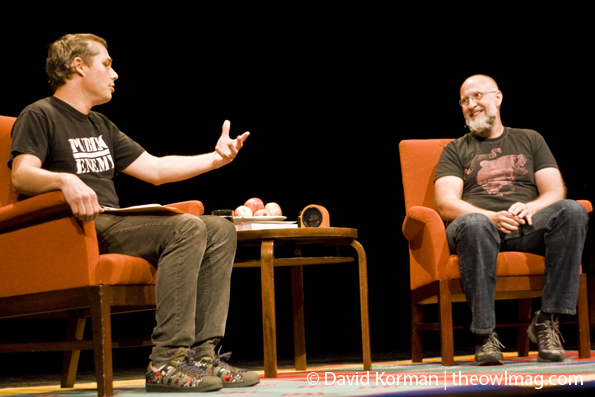 Shepard Fairey interviewed Bob Mould at the Herbst Theater in San Francisco on Tuesday night. 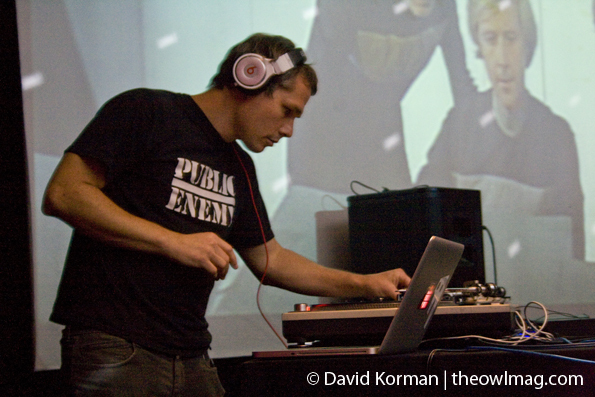 The event was presented by City Arts and Lectures in association with Noise Pop as part of a series called “On Arts” which benefits the 826 Valencia Scholarship Program. 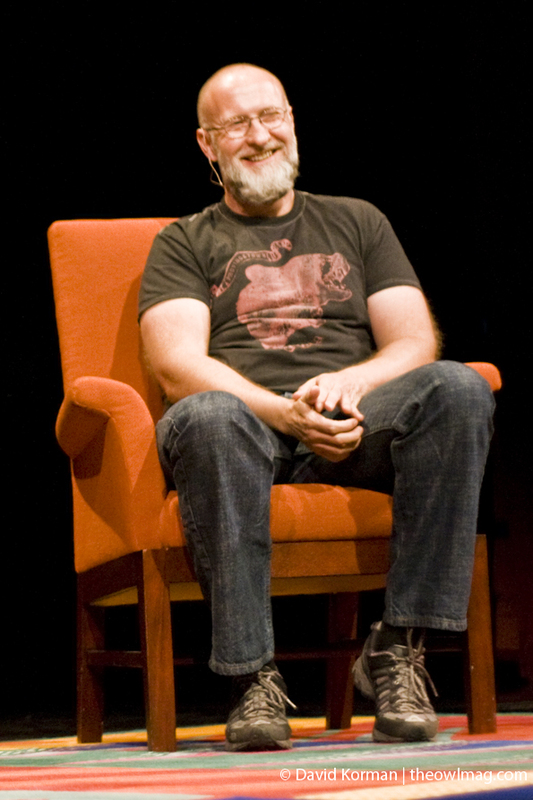 Bob Mould is known for an extensive music career which began in the ’80s and continues to this day. Mould was the singer/songwriter guitarist for the punk band Hüsker Dü, and the ’90s alternative rock band Sugar. 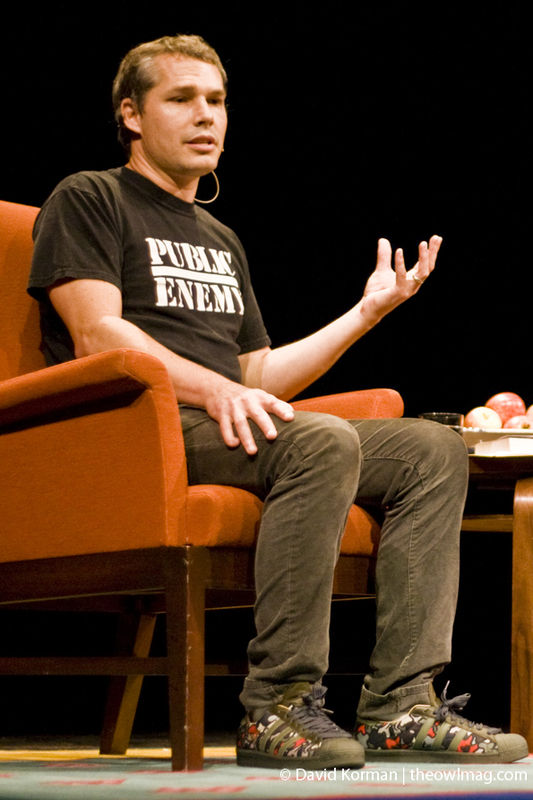 Shepard Fairey is the graffiti artist responsible for the Obey Giant campaign and the Obama Hope poster. Fairey asked a lot of questions about Moulds relationship with music and how his music changed as his identity developed. Mould attributes a lot of his success to solid support networks made up of other musicians and artists. Along with strong roots in a community, he spoke about an artists “responsibility to create something.” Essentially, when in doubt, create. “You follow the path of creativity,” Mould said. These elements were what led Mould to punk rock. Punk is based in belief, community, and aesthetic. For Mould the aesthetic of punk was that you could “live a day to day life.” Mould’s message: live and create. After the interview, Mould performed three songs, one from Hüsker Dü, “Hoover Dam” by Sugar, and “See A Little Light” from his solo career. Mould signed copies of his memoir in the lobby following the performance. Soon after though, the elements of the crowd whose hair has not faded to grey, wandered over to the Rickshaw Stop on Fell St. for an after party. 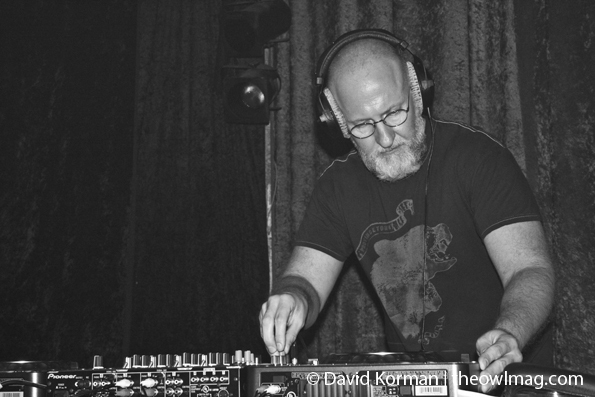 Both Shepard Fairey and Bob Mould played DJ sets.